Small businesses are relying on their IT more and more. Ensuring that the IT systems maintain the highest uptime possible it is important to keep up with the ever changing technologies. Metroplex Tech is a support company that works proactively to ensure that you are aware of these technologies and we employ them using our certified experts. You will have a specific set of requirements that will need a solution tailored to meet them. Our consultants will discuss the various options with you in easy to understand terminology and ensure you have all the facts clear so you can make the most important choice. 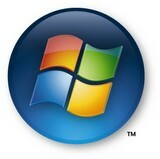 Microsoft is now the most popular business networking environment and making sure you have expert help is paramount. Our engineers are Microsoft Certified and will provide you with expert advice on your Microsoft Networking requirements. We also provide cabling and email services at competitive rates. If you are a new business or are moving to a new location then we can meet all your requirements. If you are worried that your network may need some immediate attention then please contact a Metroplex Tech representative today for a FREE network audit and health check.